We pay $50 for any referral of a new satellite phone service agreement that includes an Inmarsat satellite phone purchase. All Road Communications has built and maintained strong relationships with all of the major global satellite communication suppliers. Our Iridium Satellite Phone Monthly Plans are the lowest rates in the industry guaranteed. We are truly dedicated to providing reliable communication service to our customers. Our 13 years of experience make us the most reliable service provider for all of your satellite communication needs. 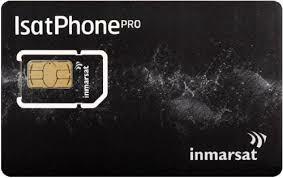 $599 phone price option includes a Isat Phone Pro. $899 phone price option includes a Isat Phone Pro II. Your purchase includes the first month's billing amount, $35 activation fee, and the ISatPhone Pro at the price delegated by your plan. Standard Minutes are defined by the following call types: Airtime MtF, Airtime to Cellular, v/d/f, Data MtF, Fax MtF, Voicemail Calls to other satellite networks will be billed at market rates. Non-Standard Minutes are billed at $5.99 per minute on All Plans Non-Standard Minutes are defines as minutes used calling to the following networks or systems: Inmarsat B Voice/fax/data 2.4 kpbs data, Inmarsat M Voice/fax/data 2.4 kpbs data, Inmarsat mini-M Voice/fax/data 2.4 kpbs data, Inmarsat GAN/Fleet/Swift 64 Voice, Inmarsat Aero Voice, Iridium Voice, Globalstar Voice, Thuraya Voice, Other MSS Carriers, BGAN/FBB/SBB Voice, GSPS (or SPS) Voice. All calls billed in 1 minute increments, All text message = 1 Standard Minute.